Rather than make you fall asleep at this stage, I’ll look a bit more at using a PassRole after you’re armed with more information and it’s easier to digest. Worrying less about theory and getting my document running, I begin by creating an IAM role that has unfettered AWS Systems Manager (SSM) access. The docs generally call this AutomationRole , and frankly, after the headache I had with IAM initially, unless you really have to change it, I would keep things simple and follow the convention. For complete clarity, this is the power role. The AutomationRole IAM role has several permissions greater than the role I’ll look at shortly. 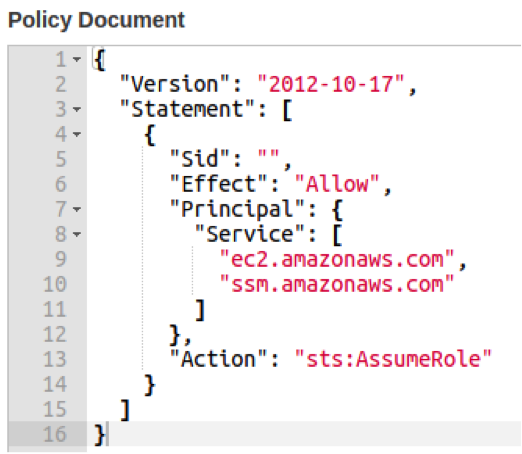 Having created a role called AutomationRole in IAM, you should assign an AWS managed policy called AmazonSSMFullAccess to the role. Inside the AWS console and within IAM, click on the role name – it should be fairly obvious. Figure 2 shows the big blue button, in case the different policy types cause confusion. Figure 2: Attach a predefined policy by clicking the Attach Policy button and choosing “AWS managed” under Policy Type, if you’re unsure. The policy as shown in Figure 3 is what I want. Still working on the role I named AutomationRole , I now need to edit the Trust relationships for which services this role can access (see the tab in Figure 2). After clicking the tab, another big blue button appears called Edit trust relationship (Figure 4). Figure 3: I’ve attached a managed policy (one that AWS looks after on my behalf but that I can’t edit without duplicating and renaming) to the role I called AutomationRole. Figure 4: The AutomationRole trust relationship. Finally, I want to add the all-seeing, all-powerful EC2 permissions with an inline policy. Going back to the main screen for the role (i.e., the view in Figure 2), I want to create a custom policy of my own. To do so, I click the Add Inline Policy link and then the JSON tab to paste (and carefully check) the permissions I am relinquishing to the role (Figure 5). I name this inline policy whatever I like (e.g., AutoEC2inline ). 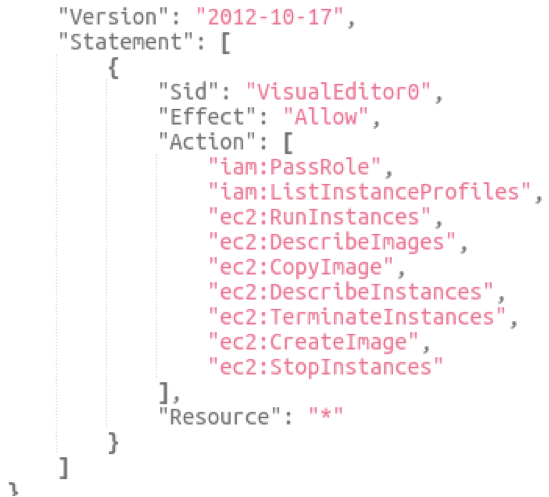 If you get really stuck, add the permissions in the Inline Policy section without using the JSON editor. It’s relatively easy to get correct, even the first time you use it. Figure 5: The inline policy for AutomationRole. Note that I’m missing the top bracket, and the bottom bracket is cut off. You should adjust the body of your JSON to get this correct (the editor will not let you save it if it’s formatted incorrectly).